In this episode of The Profit, Marcus Lemonis visits Bentley’s Corner Barkery. Bentley’s Corner Barkery is a retailer of natural food and treats or with no by-products or chemical preservatives. The company carries an enormous variety of tasty and healthy pet foods at affordable prices. 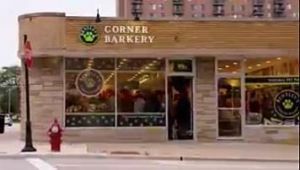 Bentley’s Corner Barkery has seven (7) locations all throughout Illinois, USA. The couple Giovanni and Lisa Senafe own and run the business. In 2008, they opened their first store in Arlington Heights with the health of their own pet. The store was inspired by Giovanni and Lisa’s first child, Bentley. Like most pet owners, the couple cared about Bentley and wanted to provide him with a wholesome diet. 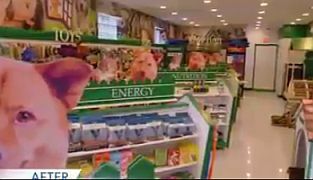 With significant research and experience, they learned the difference between “dog food” and natural, nutritious pet food. The Senafes want to share their knowledge to help pet owners in providing the best nourishment for their pets. After seven years of Bentley’s Corner Barkery’s operation, it has 7 locations. Unfortunately, some are losing, and the business needs help. Marcus believes that Bentley’s Corner Barkery can go a long way if some approaches are made. The company has no solid leadership, and Giovanni is too aggressive. The stores are unorganized and have no inventory process. There is no good communication between managers and business owners. Limited products are available at high prices. They offer products that do not match their standards. Although Giovanni and Lisa are working hard to make their business bigger, they are missing some points. Some stores are not earning a profit, and they need some serious help to become competitive. Marcus made a proposal. Since both Giovanni and Lisa are firm with acquiring some locations, Marcus offered two unique deals. He proposed to invest 1.7 million dollars for 40% equity. The equity will lower to 25% if they already paid him $1.3 million. First, he offered $400,000 as a working capital for Bentley’s Corner Barkery. Second, he offered $1.3 million for the acquisition and conversion of various locations. Lisa hesitated at first because she wanted to be in control of a lot of things. Marcus insisted he wanted 100% control of the business. After some thinking, they accepted the proposal and a deal was sealed. Giovanni took charge of the operation. 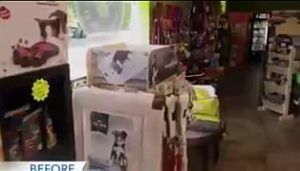 Bentley’s Corner Barkery was transformed into a local and national brand. A central warehouse was created. They got an AT&T plan to communicate regularly with managers. More quality products are offered with flexible price ranges in Bentley’s Corner Barkery. Since Lisa and Giovanni are both reluctant to offer other items with lower prices, Marcus brought Lisa to Pet Food Experts to educate here of the other options available for their customers. It made Lisa realized that they are not actually sticking to the criteria they promised to provide. Marcus also brought Giovanni and Lisa to Freshpet in Bethlehem, PA. There, they discovered that there are lots of varieties and items at reasonable prices they can sell to their clients. Finally, they completely trust Marcus and let him lead the store transformation. In the end, the Senafes allowed Marcus to have all the control, and they are so happy with the results. The stores are well-organized with enough space for customers and their pets to move around. Giovanni steps up and dreams of having more stores in the future. Bentley’s Corner Barkery welcomes more customers and earns more profit. i have a idea for the beer and coke industries, I would to to know where to go with it ,any advice please forward.